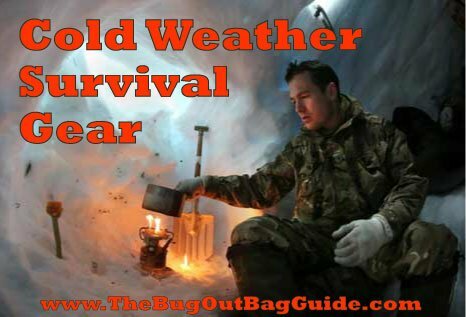 With regards to sleepingbags apply the same principle as for clothing. Layering. Start with a lightweight wicking type liner that can serve double duty as temperature multiplier in the winter or a stand alone bag in the summer. Next move on to the main sleepingbag with a good low temperature rating. Finish with an outer bag that acts a temperature multiplier and that also is made of a waterproof but breathable material that will keep the inner bags from sucking up moisture if you are forced to sleep drectly on the ground or snow. (Also useful for people who move around in their sleep and may move wholly or partially off of the tarp or bedding.) Extra bedding like pine boughs or camping mattress that gets you up off the ground is a must. The higher the better. Although cots allow for cold air to circulate all around you. Sleeping on an emergency blanket can also help but may be rather slippery. The importance of getting off the ground can not be overstated in a cold weather situation. Multiple layers of pine boughs are extremely effective, the more the better. Fantastic suggestion, Kevin. Thanks for sharing.